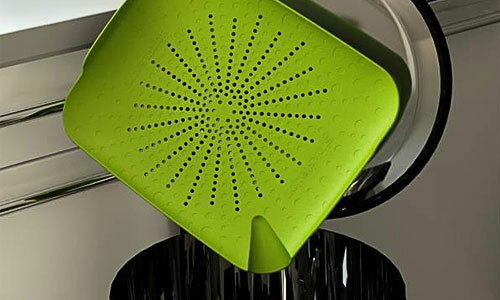 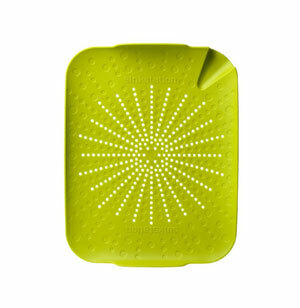 Unique multi-use flat colander; starburst pattern. 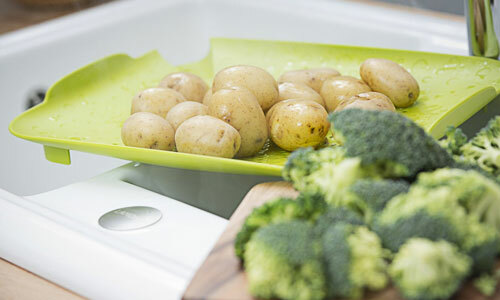 Made of FDA approved food-safe polypropylene. 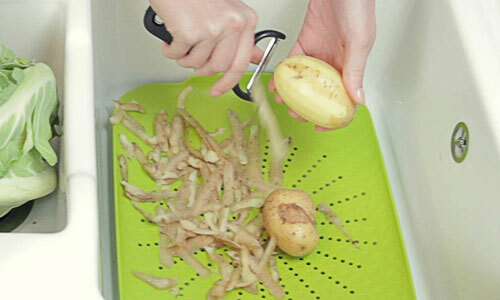 Hygienically wash and prepare food, catch peelings, sweep and catch worktop waste.